When hearing about something great, it can be hard to picture yourself there. For example, you may have heard wonderful things about a local theme park, but it’s hard to know how fun it will be until you’re there. You might not decide to go until you hear from some of your friends how great it is. The same idea is true in the business world. Whether you have an ERP system already or not, if you’re not on the cloud, it can be hard to know how it would impact your shop without doing it. Fortunately there are other shops that have implemented SHOP cloud-based, and were willing to share their experience. It’s the next best thing to implementing it at your shop and it’s much easier and quicker to read about it to help you make that decision. Three of the biggest reasons for choosing ERP cloud-based software were the easy IT burden, being able to work remotely, and getting auto-updates. When you use SHOP cloud-based, your computer only needs to be able to load a webpage. Because the software is stored on the cloud, there is no need to store the program on a computer, or keep a SQL server updated. As long as you can get on the internet, you can access your software. Brandon Barrett, the operations manager at KCM Inc summed this up nicely, “Kind of doesn’t matter what you have for a computer, either. As long as it can run a website, it can run E2 SHOP.” Because of this flexibility, your shop can use anything from a desktop computer to a laptop, or even an iPad. You no longer have to go to the computer in the back to look anything up; you can see it right on the floor. If there are any problems with the software, or if you need help setting it up, you have more flexibility in getting that fixed as well. As Kayla Duffer, an outside IT consultant for Dinosaw Inc said, “You have support and it’s online, so even if a small firm can’t afford an IT person to really navigate and do all of their IT backend, they wouldn’t really need much and they could still use the product.” That makes the cloud-based version of SHOP easy on the IT side, which is especially nice if your shop’s IT department is only one person. Having a web-based system doesn’t just give flexibility in the shop, but it also gives your employees flexibility as well. Being able to work remotely was consistently what customers said they liked best. Obviously, the employees running machines can’t do their work remotely, but your office workers can. Monica Bartley, the controller at Legacy Machine, was over the moon about this ability. “Taking on many roles, having the availability to work at home seamlessly…made it so much nicer to work anywhere.” Ms. Bartley wears a lot of different hats and being able to get her work done easily even when she’s not in the office made a huge difference for her. Especially if you live in a place where the weather can make travel difficult, working from home can be a life-saver. With SHOP cloud-based, it was easy for Ms. Bartley to get logged into the system wherever she was. She didn’t have to log in remotely to her work computer; she just had to pull up a webpage. For owners, having cloud-based software also means that they can check in on the shop from wherever they are. All they need is an internet connection. 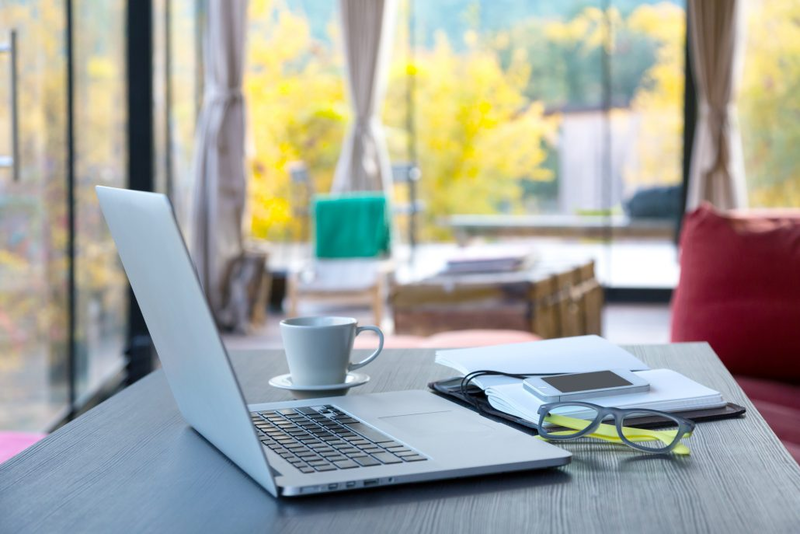 Tanya Petrides, the office manager at Actronics said it best, “Being able to work remotely is the greatest thing.” The other cloud-based customers agreed. In addition to being able to work from anywhere, having a cloud-based ERP system also takes away any worries about updating the software. On SHOP cloud-based, customers never have to remember to update their product. The software will automatically update once a week overnight when no one is working. This means that customers always have the most up to date version of the software, and updates won’t take up any time during the day. As Tanya Petrides said, “You get constant updates, not something you have to download.” With automatic updates, you don’t have to worry about your ERP software, which gives you more time and energy to run your shop. Brandon Barrett saw this benefit and loved it. “There are more future benefits to it as well because you get a continuously updated product.” With software updates, comes bug fixes and improved security. There’s nothing better than having all of these improvements without having to stop and update the software or having to remember to update it before you leave for the day. Instead, the auto-updates keep you and your shop working at your very best. The top three benefits customers love about SHOP cloud-based are the easy IT burden, the freedom to work remotely, and the auto-updates. Pair these with a powerful, easy-to-use ERP system, and these shops can do their best work across the board. So, now that you’ve heard about the benefits of ERP on the cloud, are you thinking about how it could help your shop? Check out our whitepaper to see if cloud-based software is right for your shop.